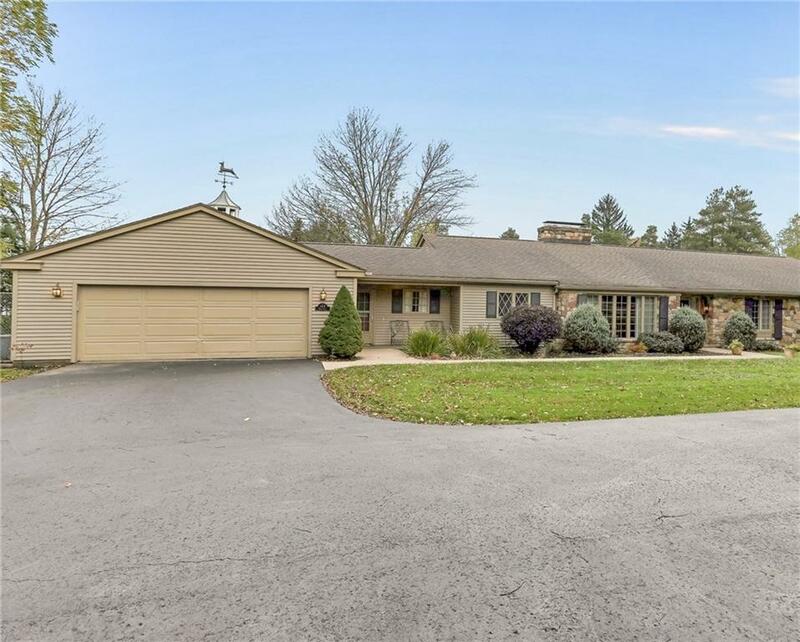 This lovely ranch home is situated on 2.8 acres of land that over looks CHAUTAUQUA LAKE with very private setting. Owner has taken exception care to keeping this home in excellent condition. The carriage home/mother-in-law/ guest house/office is just across the paved parking lot with all the new updates. This property is located in Southwestern School District, close to Chautauqua Institution, all Chautauqua Lake activities. This is a turn key home in excellent condition. Dont miss viewing this home.